Beautiful home with LOTS of space! Great room, breakfast room and upgraded kitchen are one large space with a wall of windows providing open feel and natural light. The main level also includes formal dining, laundry, and 1/2 bath. The upper floor includes the master suite with large bath with separate tub and shower and walk-in master closet. Plus hall bath and 3 additional bedrooms. The finished basement level features a big family room, Full bath, and big daylight 5th bedroom with walk-in closet. 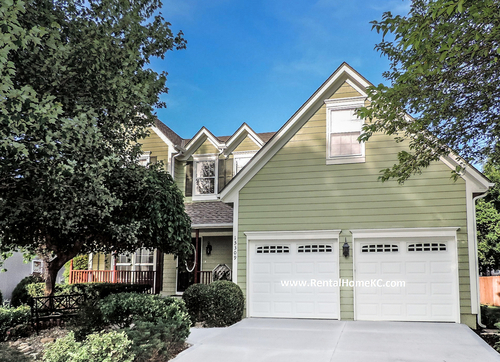 This home is located on a beautiful lot with lush landscaping just south of all the retail and dining services at 151st and Mur-Len. SHOWING NOTE: This home is Occupied. Showings are subject to approval by the current residents.